Preserving that overly abundant harvest has been one of the major challenges that gardening and agriculture has always had. In today’s world we are much more familiar with the processes of canning, drying and freezing as acceptable methods of preserving our garden’s harvest for the winter season and longer. These methods have their own set of challenges, though. Canning requires time, experience and knowledge to be successful. Freezing is pretty simple, but has its own set of needs to ensure the garden bounty isn’t lost to freezer burn or premature thawing. Drying is also simple, but benefits from modern drying equipment that can be expensive as an initial purchase. What if there was another way, a method of preserving the harvest that is not only simple, non-intensive for both labor and equipment and was proven safe? One that is location and temperature independent, doesn’t care if you forget the exact timing and still produces an absolutely delicious product? There is! That method is fermentation. 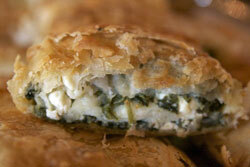 It has been proven safe over several thousand years, with at least that many different approaches and many more recipes. Almost every culture across history has contributed something to the art of fermentation. Fermenting vegetables is an extremely simple, effective and tasty way to start experimenting and gaining knowledge, taste and experience. In addition to being easy and quick it is also highly nutritious and beneficial to your health. Some folks are hesitant or outright afraid of trying fermentation for fear of accidentally growing the “wrong” bacteria and sickening or even killing themselves or their families. This is completely understandable in today’s world of anti-microbial soaps, detergents and wipes. At least in the world of raw vegetables, this fear is unfounded. 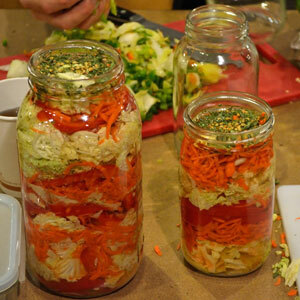 “As far as I know, there has never been a documented case of food-borne illness from fermented vegetables. Risky is not a word I would use to describe vegetable fermentation. It is one of the oldest and safest technologies we have.” This is from Fred Breidt, a USDA microbiologist specializing in vegetable fermentation. In fact, fermenting commercially available vegetables will kill any pathogens that we’ve seen in the news as contributing to food-borne illnesses, as they simply cannot survive in the lactic acid environments of fermentation! This is going to be a slightly different recipe format than we usually do. We will give you a foundational approach to fermenting any vegetables, and then give a basic recipe for a sweet and hot fermented pepper sauce or paste. The beauty of these recipes is that they are entirely scalable. 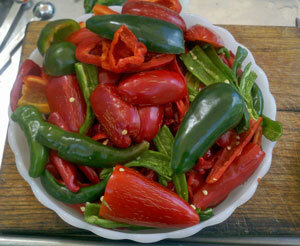 Do you have an extra quart of hot chiles, a handful of sweet peppers and some garlic or onion? Great, we can work with that! Or do you have a couple of 5 gallon buckets of hot chiles and 3 more of sweet peppers, more onions than you know what to do with and you’re worried about them all going bad? No worries, we can work with that as well – all from the same recipe! The flavors from each recipe will be different, but equally delicious and nutritious. There is a new book on fermentation on the market, and it is most excellent. The Art of Fermentation by Sandor Katz is his newest exploration of this ancient form of preserving foods. His tagline on the book reads, “An in-depth exploration of essential concepts and processes from around the world.” The basic concepts of fermenting come right out of his book, and they are easy! 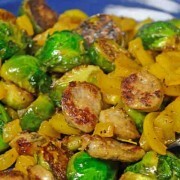 Lightly salt the chopped veggies (add more as necessary for taste) and pound or squeeze until moist; alternatively, soak the veggies in a brine solution for a few hours. Pack the vegetables into a jar or other vessel, tightly, so that they are forced below the liquid. Add water, if necessary. Wait, taste frequently, and enjoy! It doesn’t matter if you have one or a dozen veggies, the above recipe works. 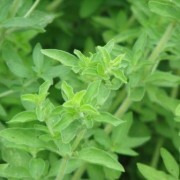 Add spices, herbs or edible flowers and experiment. You will be surprised at just how tasty almost everything comes out. Now that we have the basics down, let’s look at how to handle that bumper crop of hot chiles and sweet peppers. These, along with tomatoes, are one of the most expensive vegetables to buy in the store, but taste so much better out of your garden. It is an absolute crying shame to let any of these go to waste! Let’s look first at a hot fermented chile sauce, much like Sri Ra Cha or “Rooster Sauce” as it’s called after the rooster on the bottle. The only ingredient ratio to keep in mind is the chile to garlic. 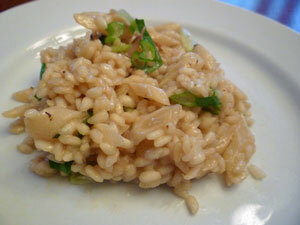 Don’t go crazy on the garlic, as it gains pungency as it ferments and can throw off the overall flavor. A note on the salt – use anything but Iodized salt, as this will cloud the color of the brine and can leave a metallic aftertaste. Optional: 1/4 Cup fish sauce in place of vinegar. Use Vietnamese for a stronger flavor or Thai for a milder one. Remove the stems from the chiles, leaving the green “cap” where the stem meets the chile. It adds a unique flavor during fermentation. Chop the chiles and garlic lightly, using a food processor if needed until mixture is largely chunky. Do not process too much, just minimally. Add chile mixture to a half-gallon Mason jar or other non-metal container. Sprinkle salt in while packing chiles. Pack down with a wooden spoon or spatula. Add just enough water to submerge mixture and cover with a dish towel secured by the ring. Ferment for a month, more or less as taste dictates. Taste about every week to see when it is “done” for your tastes. You will see how the flavor changes with time. Keep chile mixture submerged and remove any mold that forms on top by lifting it out with a spoon, fork or spatula. When the fermentation is finished, liquefy in a blender or food processor. Strain out the seeds and pulp with a cheese-making cloth and let hang for a few hours or squeeze to get all the liquid out. Discard the pulp and seeds. Heat the liquid on low heat, adding the sugar and vinegar or fish sauce and stirring them in. Once the sugar, vinegar or fish sauce are melted in you can lower the heat and reduce the sauce to the consistency you like or use a little tapioca starch to thicken it, much like using corn starch. Tapioca will add just a touch of sweetness, won’t be bitter and is GMO free. Let cool and bottle. Will keep for 6 months or more, but you’ll eat it long before then! Recipe notes: Wait until the chiles are fully ripe and red, as they will have the most complex flavor profile and yield the tastiest sauce. Use the general ratio listed to scale up or down to suit your particular needs at the time. Now let’s look at a larger batch with more ingredients and a completely different flavor. The procedure is much the same as for the above recipe. Chop the chiles, sweet peppers, garlic and onion. Submerse in a suitable container, pack down with a wooden spoon and cover with water. If using a large, open container it may help to use a plate on the top weighted down with one or two heavy-duty freezer Zip-lock bags filled with a brine solution of 3 Tbs salt to 1/2 gallon water. This way if the bags do spring a leak, you don’t dilute the brine of the fermentation. This also allows the bubbles to get past the plate and bags without building up pressure. Ferment for a month, tasting weekly. Liquefy in a blender, strain out the pulp and seeds. Heat on low and add sugar and vinegar or fish sauce. Now you have the basic foundation of how to make some incredibly delicious chile or sweet fermented pepper sauce. You can go from mild to shockingly hot and experiment with different spices and amounts of complementary vegetables to add their flavors. You will quickly become something of a hero to your family and friends once they taste your unique sauces! Thanks for a great article and concept. Do I need any special fermenting containers? Other foodie sites talk a lot about the benefits of fermentation and most call for a specific container to ferment ingredients. I’m growing extra peppers and onions this year and will definitely try these recipes. Helen, you don’t need any “special” fermentation equipment to get started! This is often a ploy some companies use to separate you from some hard cash. We use half gallon Ball canning jars for most of our fermentation, as we don’t do large batches quite yet. We do have a 5 gallon stoneware crock that we picked up at a yard sale for large batches. One of the simplest methods is to use Zip-Lock heavy duty freezer bags filled with brine to weight the veggies down. They will hold everything under the brine and conform to the container while allowing bubbles to escape. Use brine in the bags so if they leak they don’t dilute the fermenting solution. I do highly recommend you spend some money on Sandor Katz’s books. 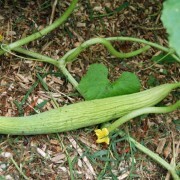 Look on his website – Wild Fermentation – for a ton of good recipes and articles. She experiments with 10 different containers, using a microscope to find which do best to promote those healthy probiotics you’re trying for. Thanks for sharing this, Ruth! This is good, solid info to know about. Wow, What a beautiful morning and then to get this wonderful email and ideas about fermentation. In 1979 I was introduced to Dr. Airola’s book “How To Get Well” and discovered about healing with frementatting vegetables. You will all have rewards for your sharing this wonderful news through your website. Thanks Debralou, we hope you enjoy the recipes! The ziploc bag filled with brine is brilliant! I’ve been experimenting with fermenting vegetables for a few months now, and I could never get that magic cover that would let bubbles out but not let air back in because nothing filled the empty space of the ball jar perfectly. I tried slightly smaller diameter glasses and bowls, but nothing ever worked out well. Thanks so much! Thanks Ann, that technique comes from Sandor Katz in his newest book The Art of Fermentation. Thanks for a great article! I have the book The Art of Fermentation by Sandor Katz as well. It was a gift from my sister in Las Vegas, NV. She has become a big fan of fermenting & I’m not far behind her. At this moment, I have ‘kraut in a big, glass jar & a former brined kalamata olive jug of hot sauce on the counter doing their thing. I laugh & call them my science experiments. Almost forgot, sour dough starter is in the shade on the front porch. The hot sauce includes a variety of peppers from the garden – bell, banana, jalepeno, jalepeno want-to-be’s, & a few others, plus home grown garlic & onions & a few dried chili peppers thrown in for additional heat. It smells devine & no mold since started 10 days ago. The kraut will be a week old tomorrow & still sans mold. It smells very kraut-like. The cabbage was ready now, so rather than wait for cooler weather, I took a leap of faith that it would work. My goal is to come up with something that tastes like the Pico Pica mild taco sauce made my Juanita Foods. Impossible to find on the shelf here in Indiana & hard to find now in ‘Vegas. 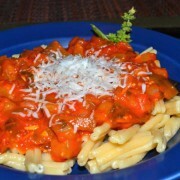 It has tomatoes in it & I have found few fermented tomato & pepper sauce recipes. Necessity is the mother of invention so I may play around later & see what I can come up with. Thanks again from the Hoosier state. Sounds like you’ve got some tasty things going Yvonne! Glad you enjoyed the article, let us know how your fermented sauce turns out. Thanks. Please is fermentation good for a large scale production of pepper paste? what is the duration of usage? Moses, this is how the large chile paste companies make it in the Asian countries. In Thailand, I’ve seen huge vats of fermenting fish sauce and chile paste, with the vats being 15 feet or more across and 10 – 15 feet tall. By duration of usage, I’m assuming that you mean how long (months) will the fermented paste be good for? With refrigeration, it will be good for several years, slowly losing its pungency. Without refrigeration, it will keep for several months, depending on the temperatures. The salt and sugar act as preservatives, keeping it fresh longer. When you heat the sauce adding the sugar does that destroy the good guys that you built up during the fermentation process? Heating the sauce stops the fermentation process so that it can be bottled. The sugar and vinegar/fish sauce are natural preservatives and flavoring agents. I’ve been thinking about buying one of Sandor’s books on fermentation but I’m not sure which one to buy as my interest is favored towards the science of fermentation, which one would you recommend for me? Also what’s the difference between the two? Dan, we really like Sandor’s first book as it has more recipes and details about the fermentation process, while the second book is more cultural research and the biological processes behind the fermentation, there are fewer recipes in it. Both are very good, just in different directions. If you are looking for recipes to get started with, get the first one. If you are looking at the behind-the-scenes look at how and why the fermentation happens, along with cultural notes, get the second book. I started the Fermented Sriracha 2 days ago. Should it be doing something by now? Not a bubble in sight. I also have red sauerkraut fermenting – could I add some of this liquid to the peppers to kick start it? Pamela, it might take a few days to a week for the fermentation to start, depending on the amount of lactobacillus on the peppers and your hands. Not to worry, this bacteria is completely natural and is what drives the fermentation. If you washed the peppers with a veggie soap, you might have removed much of the bacteria, so it will take a bit longer to get started. I would be very cautious about adding any other fermentation liquids, as each fermentation has a very specific flavor profile. If you wanted to do an experiment, pull a sample of the pepper fermentation out and put it into another glass jar, then add a small amount of the sauerkraut liquid to see what happens. This way if it goes completely south on you, the whole batch won’t be lost. It might work and give you a really unique flavor! I fermented some hot peppers and after 2 weeks, I started getting white stuff on top of my pepper mash. Is this harmful? What do I do about this? Is this bad for the hot sauce? Tim, white mold is ok. Any other color, especially pink or dark mold is dangerous. The white mold is part of the lacto-fermentation. 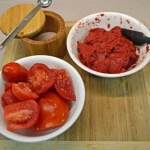 When you ferment tomatoes, you stir the white mold into the mixture.